Blake Bailor, also known as myself, has been a longstanding member of the Lucky Scooters pro team since the company was initially founded in the year 2009. Since then, I have always strived to release a constant and steady stream of Lucky Scooters videos and content for the public’s enjoyment. However, things don’t always work out according to plan. Over the course of the last several years, I have struggled being able to complete any of my video projects, which has been quite discouraging, especially when it comes to finding motivation to ride my scooter. Thankfully, those many days of struggling to find inspiration to ride my scooter and film have finally come to an end as I just recently released my Lucky Scooters Signature Wheel Promo, which is hands down my personal best piece of work thus far, in my opinion. The vast majority of the tricks and lines featured in this video were simply nothing more than mere concepts in my head for a good many years before I was finally able to make them into a reality. In fact, some of these tricks took me several hours of struggling before I was eventually able to roll away from them, while on the other end of the spectrum, I was able to land other tricks in this video first try, every try without even breaking a sweat. I suppose that is how the cookie crumbles when it comes to the game of freestyle scooter riding. My absolute favorite aspect of releasing a video part is knowing how hard I worked to create a piece of art, and then being able to discover how other people interpret that piece of art. This video definitely could have reached the public eye much sooner than it did, but the perfectionist in me prevented myself from ever releasing all of this great footage, which is definitely one of the most important life lessons that I took away from the process of creating this video. It is the imperfections in any piece of art that highlight the very human elements of the creative process, so don’t ever allow yourself to stop creating simply because you cannot create something that is perfect. That’s just my little spiel for the day, so take it or leave it, but it may very well help you out down the road. Anyways, I would love to know all of your thoughts, feelings, emotions, and opinions regarding my Lucky Scooters Signature Wheel Promo, so be sure to leave a comment and let me know what all of you think. 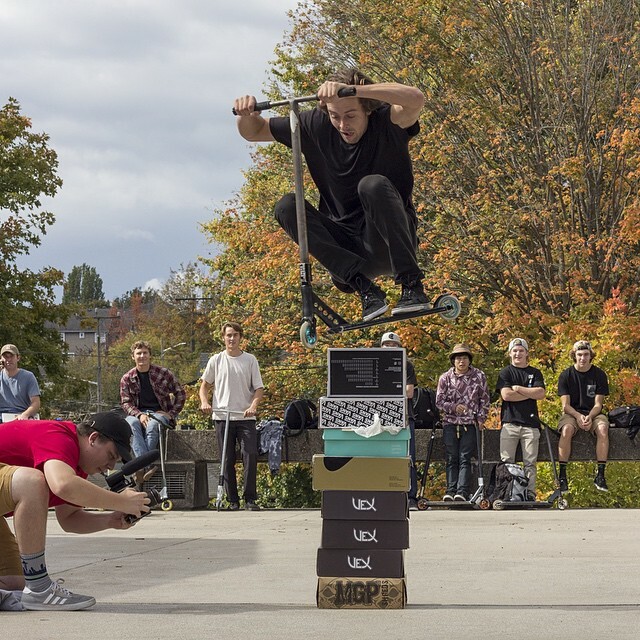 I would also love to know what your favorite trick was from the video, so be sure to let me know in your comments. Don’t forget to stay tuned right here at Lucky Scooters for more rad scooter videos and content such as this, along with any and all other future Lucky Scooters related news and updates.